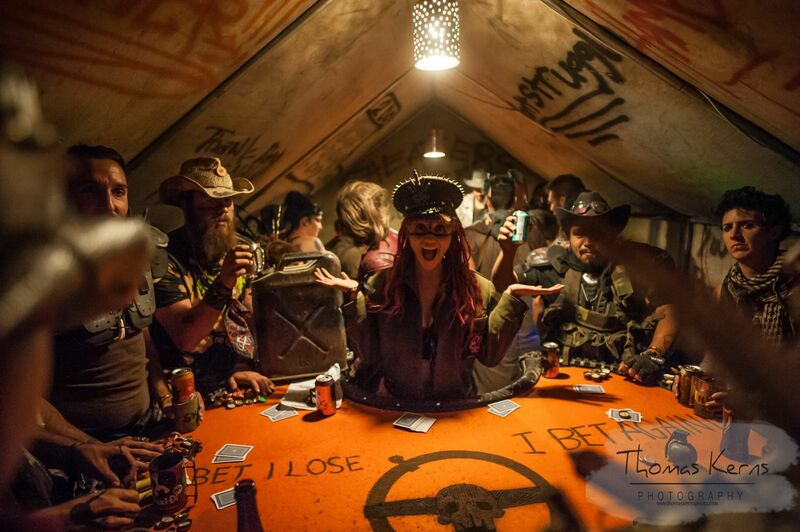 A few weeks ago my photographer friend Thomas Kerns returned from the end of the world with his camera bursting with images from Wasteland Weekend, the world’s largest full-immersion post-apocalyptic festival. 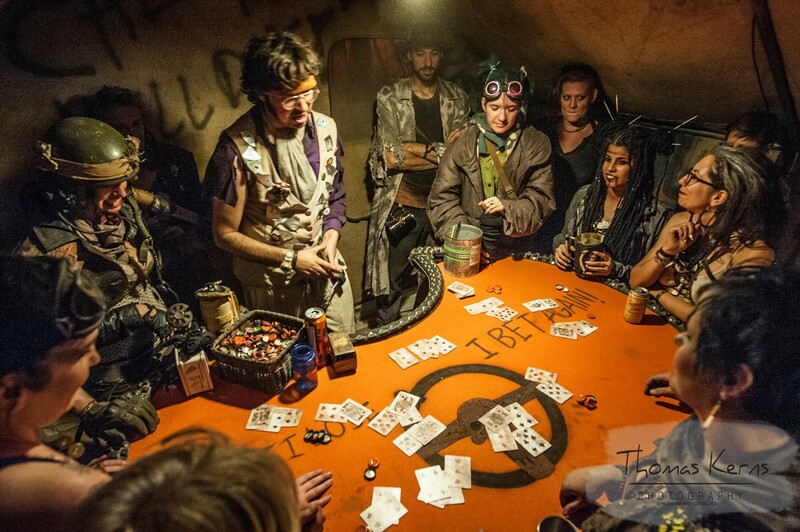 As I was looking through photos of people living the Mad Max Fury Road experience, I was reminded of an obscure posting I’d read earlier in the summer: the visionary who dreamed up the Atlanta BeltLine was going to launch a post-apoc pub / think tank (!!). “Wait until the Wasteland people hear about this! !” I remember muttering out loud to myself. 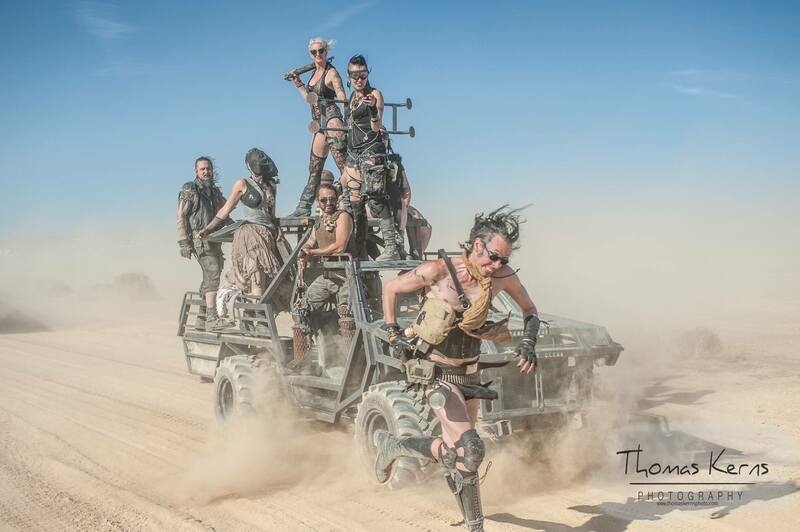 With the images from Thomas’ Facebook album of Wasteland Weekend photos staring me in the face tonight, I realized I should probably fetch up that story and share it with him. Problem was, I couldn’t remember where I’d seen the posting. 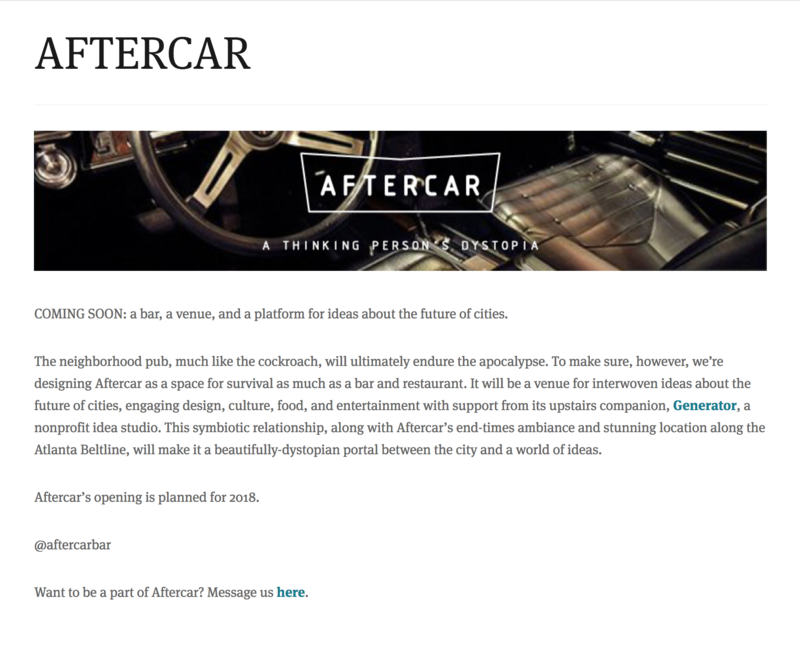 It took some serious digging through my bookmarks and some cross-eyed googling, but I finally fetched up the place I’d found the link: Aftercar is described on Ryan’s own website! COMING SOON: a bar, a venue, and a platform for ideas about the future of cities. The neighborhood pub, much like the cockroach, will ultimately endure the apocalypse. To make sure, however, we’re designing Aftercar as a space for survival as much as a bar and restaurant. It will be a venue for interwoven ideas about the future of cities, engaging design, culture, food, and entertainment with support from its upstairs companion, Generator, a nonprofit idea studio. This symbiotic relationship, along with Aftercar’s end-times ambiance and stunning location along the Atlanta Beltline, will make it a beautifully-dystopian portal between the city and a world of ideas. Aftercar’s opening is planned for 2018. 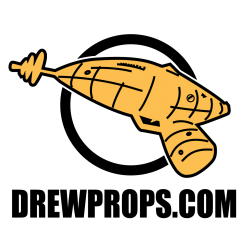 I love the idea of a collective with a backstory – a bit of theater, not unlike the pirate-themed think tank operated by Thomas’ friend Captain Drew (@piratepalooza on Twitter). So it will be interesting to see if Aftercar becomes a cultural salon, an idea studio, or a simple tax dodge designed to let him and his friends get hammered while listening to Tina Turner sing We Don’t Need Another Hero. And let me know, is this something that YOU would like to see come to Atlanta? Next Next post: What Happened to Klingon Cosplay?